Many of us are living with a spiritual kind of amnesia, forgetful of who we really are. Negative circumstances constantly send us the message that we are far les than what the New Testament declares us to be. Often theology has been twisted to conform to the defeated, negative thinking of people who are interpreting life and God through their circumstances. When we submit to Scripture, rather than submit the Scripture to us, our identity in Christ comes alive. Again Phil Pringle's book brings superb informative, scripture based learned my that assists understanding and growth. Every word is inspirational. Really simplified some biblical teachings. Easy to read and inspiring. Amazing insights into who God made us to be in Him. I enjoyed how Ps Phil gets down to the core of who we are and then takes those implications to a point of irrefutable inspiration to go live it. 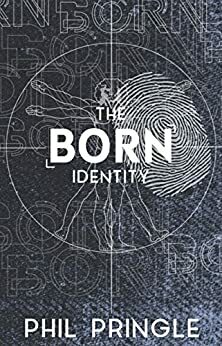 I'd recommend this to Christians who need an articulation of their identity in Christ and people interested in a comprehensive look into what that looks like. 5.0 out of 5 starsOne of the best books on identity! Liked his biblical references and easy reading style. I recommend anyone wanting to learn about their identity in Christ and what they have, this is the book to read. 5.0 out of 5 starsThe wonder and love God has for us. An amazing book showing the wonderful life and love God has for us. How we can be the beautiful person He created is to be. The person Christ died for us to be. The person living in His abundance and fulfilling His vision that he has reserved for us to live. If you are looking to realign your life in Christ and understand who you are and what is available to you, this is an excellent resource!! Loved it!! 5.0 out of 5 starsLife changing! So good! Changes your perspective. We need to take God at His Word. He is faithful and His Word is true!